With a foundation wire bent into a body shape I then bound it with layers of stretchy fabric. Hence Naomi was created and then dressed in colourful attire. 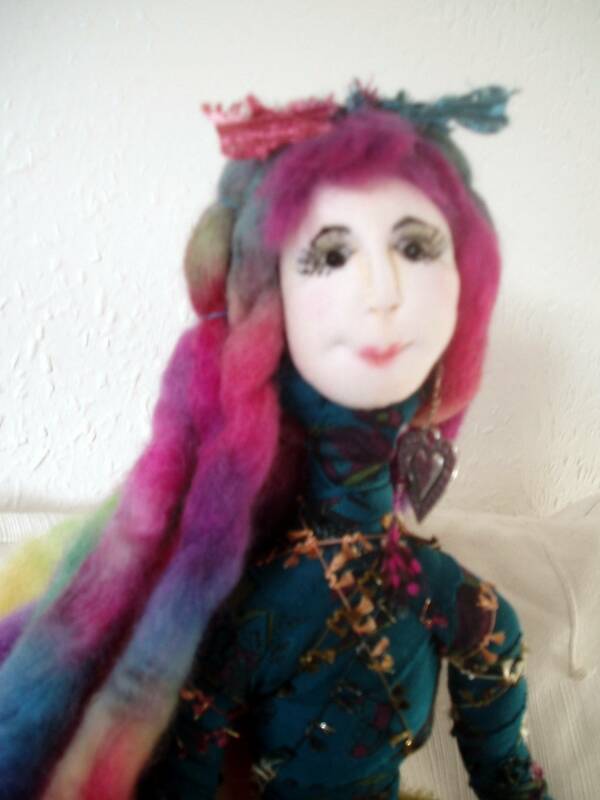 I began creating Naomi at one of Ray Slater's Workshops.